The Life and Times of Grizzly Adams TV show was a 60 minute family drama series on NBC that took place in the 1850s. It was about a man who was being chased by the law for a murder that he didn't commit. He went into the mountain wilderness where he would be hard to find and there, he befriended a grizzly bear, a backwoods trader, and an American Indian. Grizzly Adams would often help a passerby in trouble and always protected the wildlife in the area. Unfortunately, the peaceful and happy life that he had built for himself was often interrupted by the bounty hunters who were pledged to bring him to justice! Mad Jack's mule was named simply, "Number Seven" because it was the seventh mule that Mad Jack had owned! The Grizzly Adams theme song (see above) was released as a single in Europe, where it hit number one on the charts! It also won a "Goldene Europa Award" for "Best Song". In addition to guest-starring roles on just about every western series ever made, Denver Pyle also had lead roles on "The Doris Day Show" and "The Dukes of Hazzard". 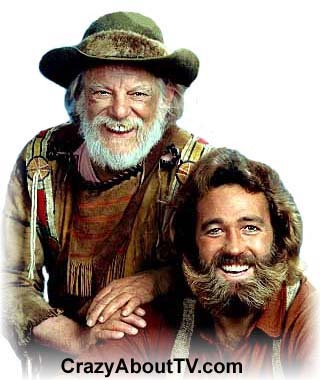 There was a real-life trapper named James "Grizzly" Adams upon which this series was loosely based. Then there was a 1974 movie titled, "The Life and Times of Grizzly Adams that also starred Dan Haggerty and Don Shanks. The Life and Times of Grizzly Adams feature film that hit theaters in 1974 also starred Dan Haggerty and Don Shanks. It was produced for a measley $140,000 and it earned $65 million at the box office! The Life and Times of Grizzly Adams had some pretty impressive competition for its time slot. For its first season, ABC was airing "The Bionic Woman" and CBS was running "Good Times" and "Busting Loose". In the second season, ABC moved The Bionic Woman to another time slot and replaced it with "Eight is Enough". Thank you for visiting our The Life and Times of Grizzly Adams page!